The last blog I posted focused on spring transitional looks for when we have a few warms days pop up, as winter winds down. Quickly, many of you commented that where you live, it was still way too cold to go without a coat! So this blog is for you! Instead of wearing a normal black or brown coat, opt for one in a fun bright color to get you in the spring mood even if the temperatures aren’t that warm yet! You can find warm winter coats in every color of the rainbow but I chose a cobalt blue coat and added a fun leopard top paired with some great wax coated jeans and metallic heels (which are very hot for spring! I will do another blog on this later). I think the bright colored coat makes the whole outfit chic and vibrant! The leopard and cobalt combo is a great alternative to leopard with red, which is shown a lot. 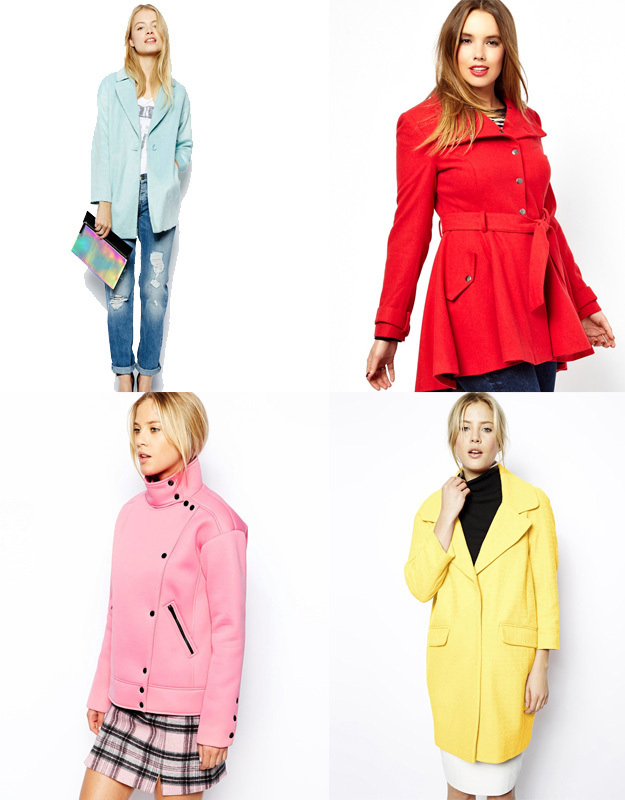 I have also picked out a few other candy colored coats that I love! Enjoy and stay warm!